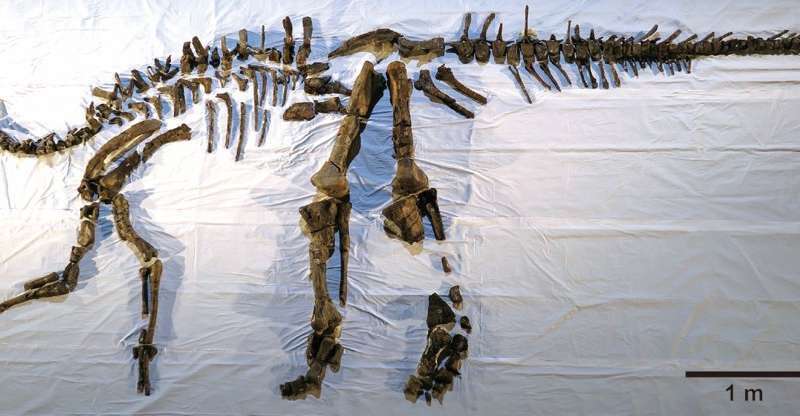 Excavations of Mukawaryu, the largest complete dinosaur skeleton in Japan, began in 2013 in the Hobetsu district of Mukawa Town on Japan's northernmost island of Hokkaido by the Hokkaido University Museum and Hobetsu Museum research teams. Although many bones have not yet been identified, the majority have been, and those which can be pieced together now present a more accurate depiction of the dinosaur's anatomy. 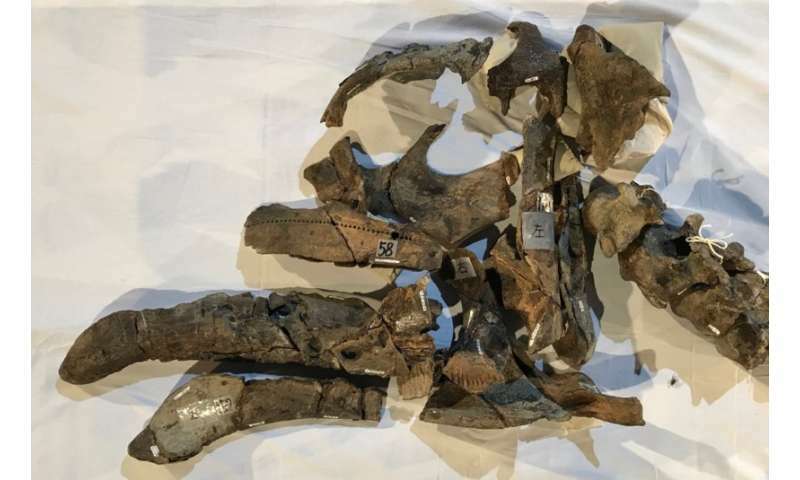 "There are still many unidentified bones and fossils that need to be restored," said Associate Professor Yoshitsugu Kobayashi of the research team. "We will continue researching Mukawaryu, analyzing its bones, and unraveling more details of this creature. We also hope to further clarify its systematic position, determine any related species and the ecology of the environment it lived in."